Morocco’s recent diplomatic overtures are inspiring fear in pro-Polisario circles that the balance may have irreversibly swung in Rabat’s favor in Western Sahara settlement discussions. 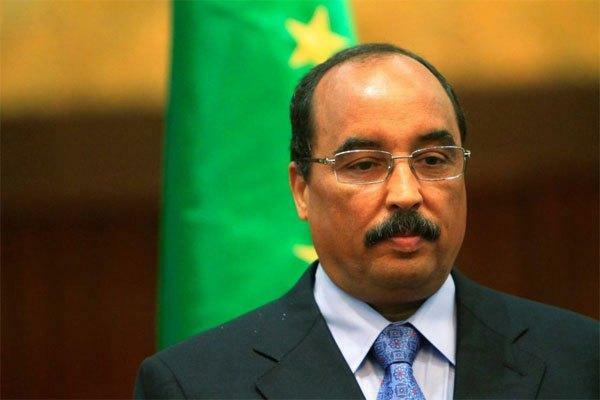 Rabat – Mauritanian President Mohamed Ould Abdel Aziz has said that closed-door negotiations on the Western Sahara dossier are more in favor of Morocco than the settlement brokers would like to admit. The statement is a challenge to the ongoing UN-led process, which the UN has placed under its traditional banner of neutrality and mutually agreed upon terms. 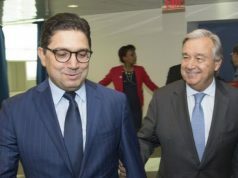 In an interview with Palestinian journalist Abdel Bari Atwan, Aziz suggested that the most crucial deal brokers for Western Sahara would not like to see a Polisario-governed state in Western Sahara. Mauritania has recognized the self-proclaimed Sahrawi Arab Democratic Republic.. The Mauritanian leader’s statement comes as Mauritania takes part in the UN-led political process. Under the auspices of Host Kohler, the personal envoy of the UN Secretary-General for the region, Mauritania joined Morocco, Algeria, and the Polisario Front in discussing terms of a gradual trust building. There have so far been two roundtables in Geneva, with Kohler saying after both events that there is increased hope that the parties will incrementally make comprises for a lasting political solution. President Aziz’s “surprising” statements, Atwan suggested, are a veiled challenge to the UN process. By saying that powerful countries completely oppose a new state, the Mauritanian president is clearly hinting at perceived Morocco-friendly lobbying in the ongoing settlement debates. But President Aziz is hardly the first in recent weeks to suggest that Morocco’s recent diplomatic gains will result in a settlement more in tune with its position. Citing a “diplomatic source” briefed on the UN process, Middle East Eye (MEE) reported on April 5 that the ongoing talks are “in danger of becoming a show” because the US, Kohler, and a number of European countries with a substantive say in the conflict’s prospects—an allusion to France—are pushing a pro-Morocco agenda. 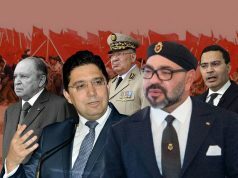 MEE’s source claimed that all the major sources of influence in the Sahara dispute are working against Polisario’s aspirations for a self-determined and independent Western Sahara. 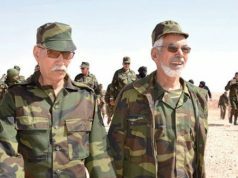 “A behind-the-scene intervention from the Americans” is threatening to “put an end to hopes of Sahrawi independence,” MEE claimed , based on its source. 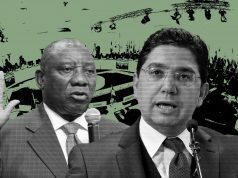 “Take this plan and sell it to your people,” the source quoted Kohler as saying, an indirect reference to Morocco’s autonomy plan. Morocco calls for a negotiated settlement rather than self-determination through referendum. The statements may have been motivated by Kohler’s calls in recent weeks that settlement would only be possible if all parties show “a strong and genuine political will” to negotiate a “a feasible, realistic,” and compromise-based solution. As conflicting parties engage in diplomatic efforts to garner support for their Western Sahara claims, a more outcome-defining development has been the revelation from a US government document, written by a former Moroccan ambassador, claiming that Washington was the inspiration for and strongest supporter of Morocco’s 2007 Autonomy Plan. While the revelation is far from a vindication of the claims that Washington is set on skewing the Kohler-moderated process to Rabat’s liking, the language of the document is set to please Moroccan circles. 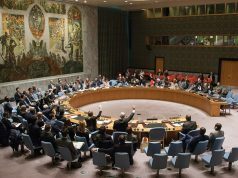 In the meantime, Morocco, which sees in the UN’s settlement guidelines aspects of its own call for pragmatism, has been quick to argue that settlement will only be possible when all parties show genuine commitment to a politically-negotiated solution.